With Backcountry Magazine’s 2018 Gear Test kicking off tomorrow, we’re looking ahead to the latest in skis, boots and bindings that are rolling in to Powder Mountain today. Each year, to make sure we’re testing the most contemporary gear, we operate under a simple rule: Only first- and second-year skis, boots and bindings, or older models with construction updates, are eligible for review. Luckily for us, companies exceed this standard each year, leaving us with new technology, construction and shapes to look forward to. 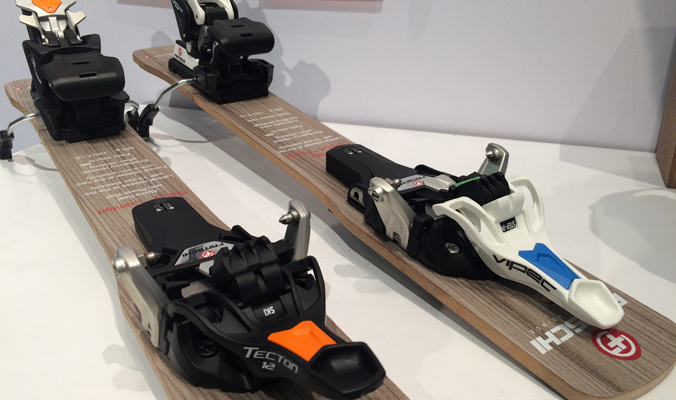 Here’s the some of the newest innovations in bindings. Fritschi’s been busy, and the 2017-2018 season will show the fruit of their toil. Enter the Tecton, which pairs the updated toe piece of the Vipec—now called the Vipec Evo 12 and retooled to improve step-in ease—with an alpine-style heel that clamps down (much like an alpine binding or Marker’s Kingpin). Without brakes, the Tecton weighs in at 550 grams, only slightly heavier than the Vipec Evo. More stability without much added weight? We’ll be itching to see how they perform. While Salomon’s MTN binding has been available in Europe for a season, this upcoming winter marks the first year it’s offered stateside. The paired-down tech binding sports a clean, full-metal toe with step-in guides and a heel loaded with a U-shaped spring that is interchangeable for different release values. Consider this the completion of the company’s MTN lineup. This January, Bishop debuted their BMF bindings series, reviving our favorite niche sport within a niche sport. The BMF-R and BMF-3 bindings are designed for touring—the “R” stands for randonnée—and resort skiing, respectively. 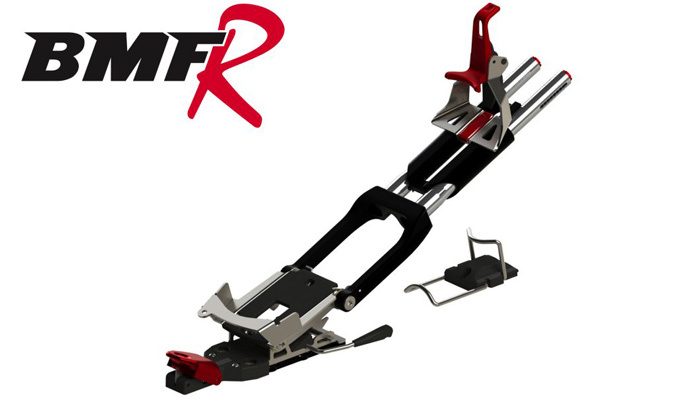 While both bindings can be used with 75 mm and NTN boots due to swappable toe plates, the BMF-R offers a free-pivot mode to improve touring efficiency and a 60-degee tour mode. The bindings are up for grabs this fall. Could I use the tecton heel with the kingpin toe? 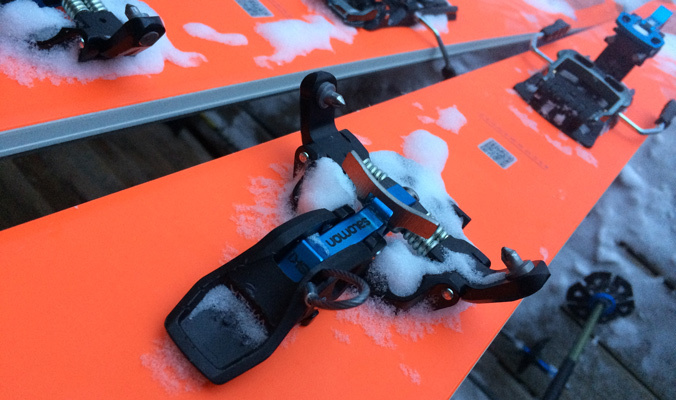 I would love to try out some of the New Tele bindings. As a ski patrol and back country guide I need a Tele binding that I can Charge with, that is durable, and reliable. I would be the guy to truly put any binding and ski to the test. Been using the Bishop Binding BMF-R for about 1 month now in Tahoe (after 15 years on Bishop classics), LOVE them! The pivot point is now under the ball of the foot, making for a little more active turns and the tour mode is easy to engage, or release without clicking out of the binding, giving a lot of versatility for touring.